Non Profits Take Cue from Wall Street. – the ajayi effect. Non Profits Take Cue from Wall Street. Believe me when I say, I have seen my fair share of NPO fiscal cliffs. I was chatting with a colleague the other day about the sustainability of organizations that rely on the public for funding programs, operations and the like. Needless to say, many organizations and the people who are employed by them have suffered at the hands of this archaic model. If the economy isn’t do well, NPOs will struggle to do well. 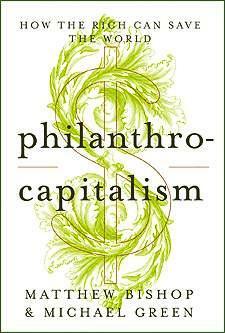 Philanthropists are looking to capitalists to help move the needle on the worlds most pressing problems. The Rich Can Save Us. The Gates Foundation,is taking a blended approach, combining grants with targeted investments. It has a $1 billion pool for investments and loans that further its philanthropic goals, and it spends more than $3 billion a year on traditional giving. It recently made equity investments in biotech companies like Visterra and Genocea, which are working on technologies that complement the foundation’s work in global health. Corporations such as Goldman Sachs and Morgan Stanley are spending big bucks to knock a dent into larger social issues. This could be it folks. I just hope it isn’t a fad. Not only will the causes benefit, those in the sector will too.